Enjoy Kantor & Kantor LLP’s summary of this past week’s notable ERISA decisions. Discretionary language contained in late-produced policy document is enforceable. In Young v. Aetna Life Ins. Co., No. CIV.A. 13-40154-TSH, __F.Supp.3d___, 2015 WL 849053 (D. Mass. Feb. 27, 2015), a matter challenging the termination of long-term disability benefits, Plaintiff filed a motion to exclude documents from the record, which included documents submitted by Defendants marked as “Young Policy 000001 to 000062” (“Proposed Policy”), on the basis that they were not disclosed to Plaintiff during the internal appeals process. The Proposed Policy contains language granting to Aetna “discretionary authority” to determine whether covered employees are entitled to benefits under the plan. During the internal appeals process, despite Plaintiff’s repeated requests for a full set of documents for the Children’s Hospital Boston Group Long Term Disability Plan, she was never given a version containing the discretionary authority language. Now, at the eleventh hour, the discretionary authority provision appears on the last page of the Proposed Policy submitted by Defendants. Although an insurer’s failure to provide beneficiaries with correct plan documents after repeated requests is worthy of reproach, and despite the troubling fact that Aetna appears to be a repeat offender, that a plaintiff lacks notice of a plan’s discretionary authority provision during the initial determination process is not so consequential that it warrants exclusion from the record. The court did note, however, that the failure to provide beneficiaries with complete plan documents during the initial determination and internal appeals process may reflect on the insurer’s ability to engage in a reasoned and principled decision making process. The court declined to exclude the discretionary authority provision and denied Plaintiff’s motion. Award of liquidated damages against individual defendant does not constitute “appropriate equitable relief,” and award of prejudgment interest and attorneys’ fees against individual defendant must be justified. In Bricklayers & Allied Craftworkers Local 2, Albany, N.Y. Pension Fund v. Moulton Masonry & Const., LLC, No. 14-295, __F.3d___, 2015 WL 795290 (2d Cir. Feb. 26, 2015), the 2nd Circuit affirmed the district court’s default judgment against Defendants for $662,135.21, which accounts for $451,300.52 in withheld fringe benefit contributions and deductions, $104,628.81 in prejudgment interest, $99,203.93 in liquidated damages, and $7,001.95 in attorneys’ fees and costs. But, the 2nd Circuit found that the district court erred by entering a default judgment against Duane Moulton in his individual capacity which included liquidated damages as well as prejudgment interest and attorneys’ fees. The individual defendant was liable as an ERISA fiduciary under Section 409 of ERISA. Although under 29 U.S.C. § 1132, the corporate defendant is liable for unpaid contributions, interest, liquidated damages provided under the plan, attorneys’ fees and costs, and any other legal or equitable relief the court deems appropriate, the same is not true for the individual defendant. 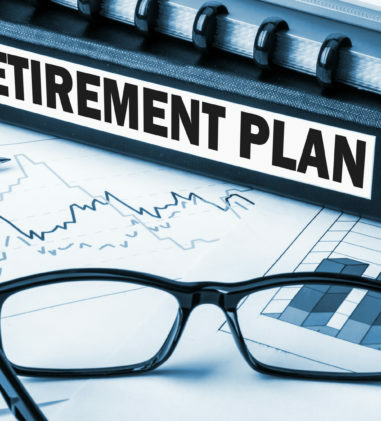 As a fiduciary, the individual defendant can only be required under ERISA to make good to the plan any losses to the plan resulting from his breach, and such other equitable or remedial relief as the court may deem appropriate. 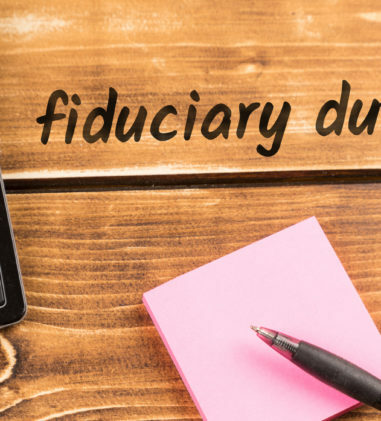 The fiduciary’s liability here would include the $451,300.52 in withheld fringe benefit contributions and deductions, but it does not also include liquidated damages, prejudgment interest, and attorneys’ fees. Liquidated damages do not serve to make good to the plan any losses and do not constitute “appropriate equitable relief” as recognized by the common law of trusts. Prejudgment interest can constitute appropriate equitable or remedial relief under 29 U.S.C. § 1109(a), but in order for the district court to grant such relief against a fiduciary in his individual capacity, it is required to articulate the reasons justifying such an award and the interest rate chosen. Because the district court failed to engage in this analysis, the court had no choice but to vacate and remand. Similarly, while the district court may award attorneys’ fees, absent any specific analysis from the district court explaining why attorneys’ fees are justified against the individual defendant in this case, a meaningful review is forestalled. On remand, the district court is directed to analyze whether attorneys’ fees are justified in this case. In McCandless v. Standard Ins. Co., No. 2:08-CV-14195, 2015 WL 869264 (E.D. Mich. Feb. 27, 2015), Plaintiff sought an award of $139,170.00 in attorneys’ fees and $850 in taxable costs, arguing that having been awarded remand three times classifies as some success on the merits. Additionally, Plaintiff filed a motion for summary judgment, arguing that Defendant’s recent award of benefits constitutes a concession of liability. The court denied both motions and dismissed the present action. With respect to attorneys’ fees covering the inception of the case through January 2, 2013, the court found that its previous order denying Plaintiff’s motion for fees for this time stands since Plaintiff did not request reconsideration of that decision within the 14-day deadline or argued that there existed a palpable defect in the court’s order. With respect to the fees incurred after January 2, 2013, the court assumed without deciding that the subsequent remands classify as some “success on the merits.” However, after analyzing the Sec. of Dept. of Labor v. King, 775 F.2d 666, 669 (6th Cir.1985) factors, the court found that Plaintiff failed to demonstrate entitlement to fees. In Bd. of Trustees of the UFCW Local 50 Pension Fund v. Baker Hill Packing Inc., No. 13-CV-1888 JS SIL, 2015 WL 867013 (E.D.N.Y. Feb. 27, 2015), where the court granted Plaintiff default judgment awarding withdrawal liability, interest, and liquidated damages totaling over half a million dollars, the court awarded attorneys’ fees as follows: $295/hour for a sixth-year associate; $200/hour for a second-year associate; and $100/hour for legal assistant and litigation support staff members. The court awarded an hourly rate less than that requested for the sixth-year associate, because although the firm is an international firm and a leader in ERISA litigation, Plaintiff did not identify which of the firm’s extensive resources as an international firm were required in this default action. 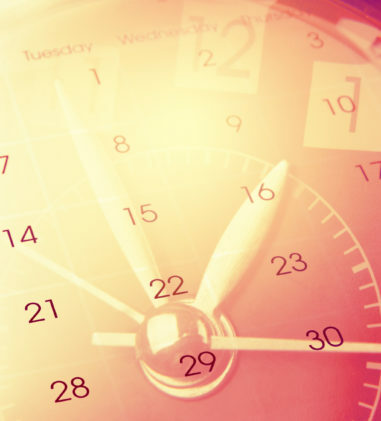 As to the number of hours billed, the court found that 20.25 hours of attorney time and 4.25 hours of non-attorney time was reasonable and in line with the amount of work required to effectively litigate an ERISA default case in this district. Accordingly, the court awarded Plaintiff $4,736.25 in attorneys’ fees and $650 in costs (including the $350 filing fee for this action and $300 in costs related to effecting service of process upon Defendant). In Barbu v. Life Ins. Co. of N. Am., No. 12-CV-1629 JFB SIL, 2015 WL 778325 (E.D.N.Y. Feb. 24, 2015), the court previously granted in part and denied in part Plaintiff’s motion for summary judgment in this action challenging LINA’s termination of his long-term disability benefits. Plaintiff moved for attorneys’ fees and costs, which the court awarded $119,185 in attorneys’ fees and $6,178.30 in costs. The court concluded that the hourly rate of $375 for a solo practitioner based on Long Island appropriately takes into consideration the Arbor Hill and Johnson factors. 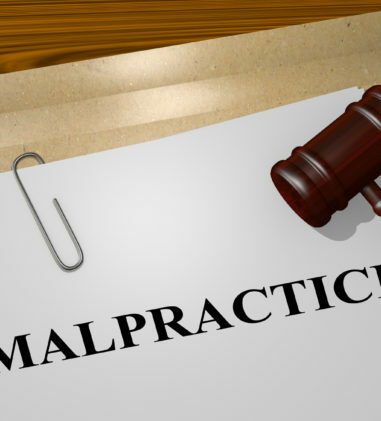 The court noted that the attorney expended many hours reviewing documents, drafting affidavits, proofreading documents, and performing basic legal research. He also billed time for serving papers and mailing courtesy copies to the court. 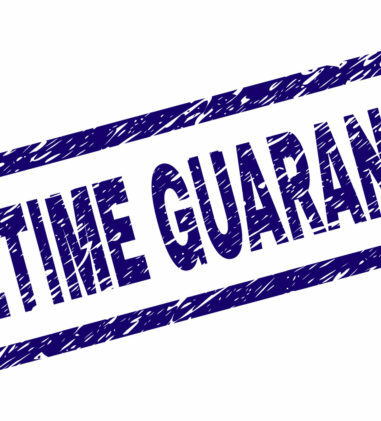 The court concluded that it is appropriate to assign an associate’s hourly rate of $175 for half of Plaintiff’s hours. With respect to litigation costs, the court awarded the following: $185.00 for a process server, $40.00 for serving defendant through the New York State Department of Finance, the $350.00 filing fee for initiating this action, $90.96 in copying costs, $3,796.70 in deposition costs, $1,687.08 in electronic research costs, and $25 .76 in postage. Lastly, the court granted Plaintiff pre-judgment interest at a rate of nine percent from the date Defendant terminated Plaintiff’s benefits, concluding that an award of pre-judgment interest is appropriate to compensate Plaintiff for the time value of the benefits he was delayed in receiving, and to prevent the Defendant from enjoying a windfall from the denial. In Malinowski v. Lichter Grp., LLC, No. CIV. WDQ-14-917, 2015 WL 857511 (D. Md. Feb. 26, 2015), Plaintiffs alleged that Lichter provided professional services to protect Hicks, in his individual capacity, and made negligent misrepresentations in Form 5500s to shield Hicks from personal liability and criminal sanctions. Plaintiffs filed a class action complaint, suing the Defendants for breach of fiduciary and statutory duties under ERISA. Defendants moved to dismiss and Plaintiffs sought leave to file an amended complaint. The court found that Letters of Engagement referenced by Plaintiffs show that Lichter informed Hicks about its fees, thus complying with ERISA section 408(b)(2), and was not hired to prepare the Form 5500s that it allegedly failed to disclose its fees on. Accordingly, the Plaintiffs’ allegation that Lichter’s fees were unreasonable, would not survive a motion to dismiss. The court also found that Plaintiffs’ allegation that Lichter’s services were unnecessarily rendered to prevent Hicks’s personal liability is unreasonable in light of other allegations that Lichter was retained, and paid, to audit the Plan, and Trojan Horse and Lichter entered into Letters of Engagement for that purpose. The court held that Plaintiffs have failed to state a claim under ERISA section 406(a), and its amendment would be futile. In Perez v. Harris, No. CIV. 12-3136 SRN/FLN, 2015 WL 774109 (D. Minn. Feb. 24, 2015), the Department of Labor alleged that an employer failed to properly remit health insurance plan payments on behalf of its employees. The Secretary filed limited objections to the Magistrate Judge’s Report & Recommendation, contending that the R & R inadvertently misstated the definition of a fiduciary under ERISA and requesting the court to correct that alleged misstatement. The R & R noted that ERISA defines a fiduciary as one who “exercises any discretionary authority or discretionary control respecting management of such plan or exercises any authority or control respecting management or disposition of its assets.” Later in that same paragraph, the R & R paraphrased this definition, to which the Secretary now objects: “Accordingly, in order for Harris to be considered an ERISA fiduciary, he must have exercised discretionary authority of control over these plan assets or the management of the Health Plan.” The court explained that the R & R’s later statement of the definition was not intended to supplant the earlier, more complete, definition from the statute. Moreover, it is clear from the R & R that the issue to be resolved is not whether Harris possessed any discretionary authority over the plan assets in question, but rather whether he exercised that authority. Because the court determined that the R & R’s statement of the ERISA definition of fiduciary is correct, it overruled the Secretary’s objections. In Williams v. AAA S. New England, No. 13 CV 855 VB, 2015 WL 864891 (S.D.N.Y. Mar. 2, 2015), Plaintiff, pro se, alleged that her former employer’s third-party administrator of its health benefit plan, BCI, failed to provide her with timely notice of her right to COBRA continuation coverage in violation of ERISA § 606(a)(4)(A). The court determined that because the Plan designates the employer as its administrator, BCI cannot be held liable for failure to give proper notice and dismissed the claim against BCI. Plaintiff also brought two claims under ERISA § 502 against the employer alleging that it: (i) breached its fiduciary duty owed to her under ERISA § 404(a) in violation of ERISA § 502(a)(3); and (ii) denied her COBRA continuation coverage in violation of ERISA § 502(a)(1)(B). 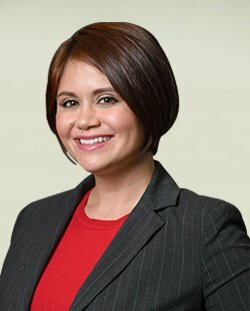 Specifically, Plaintiff alleged that AAA told her “her name was not in the system” and she was not “eligible for benefits in the three months following her termination.” The court found that, even assuming the employer was acting in a fiduciary capacity and made material misrepresentations, the complaint does not allege plaintiff relied on those misrepresentations to her detriment since she admits later receiving a COBRA election form from BCI. Because Plaintiff did not plead any alternative bases of harm resulting from the employer’s alleged misrepresentations, the complaint fails to state a claim for breach of fiduciary duty under ERISA § 502(a)(3). With respect to the ERISA § 502(a)(1)(B) claim, the court found that Plaintiff is entitled to COBRA continuation coverage under the Plan but she failed to allege she paid the required initial premium. As such, she has not plausibly alleged COBRA continuation coverage was due to her under the terms of the plan and fails to state a claim under ERISA § 502(a) (1)(B). In Asberry v. Hartford Life & Acc. Ins. Co., No. 14-CV-69 JMF, 2015 WL 857883 (S.D.N.Y. Feb. 27, 2015), the court upheld Hartford’s termination of Plaintiff’s long-term disability benefit claim in this matter where Plaintiff claimed disability due to chronic back pain following a thoracic spinal fusion surgery to treat her scoliosis. Hartford found Plaintiff was no longer disabled after receiving information that Plaintiff was able to garden and serve as the president of her local community association, and surveillance of Plaintiff over a two-day period showed her carrying grocery bags, cleaning up outside her apartment, walking her dog, and attending a community meeting. Hartford also had Plaintiff evaluated in person by Dr. Robert DePorto, who concluded that Plaintiff was capable of “working in a sedentary capacity” and provided parameters for that definition, including sitting no more than six hours a day, standing no more than two hours a day, lifting no more than ten pounds at a time, and occasionally carrying small items such as office files. Hartford also commissioned an employability analysis report that identified two occupations-Sales Manager and Merchandise Manager-that are consistent with Plaintiff’s physical limitations, educational background, and salary requirements. After Plaintiff appealed the denial to Hartford, Hartford retained Dr. Steven Lobel to conduct a peer review of Plaintiff’s files and he concluded that Plaintiff was capable of “light level occupation” subject to restrictions similar to those imposed by Dr. DePorto. 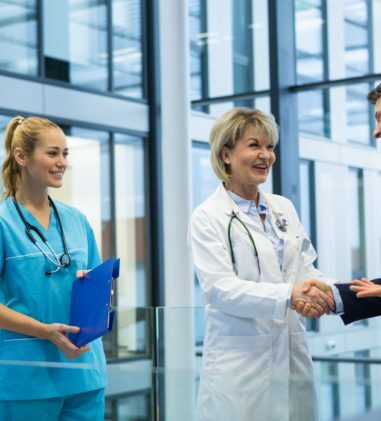 Plaintiff’s treating doctor submitted an opinion that Plaintiff could not engage in full-time employment and Plaintiff was also considered disabled by the Social Security Administration. The court found that Hartford’s denial of benefits was not an abuse of discretion. In Pavlovitz v. Reliance Standard Life Ins. Co., No. CIV.A. 13-1575, 2015 WL 851846 (E.D. Pa. Feb. 27, 2015), Plaintiff alleged that she was disabled by Chronic Pain Syndrome and a mental disorder which entitles her to long term disability benefits. Applying a deferential standard of review, the court found that Reliance Standard did not act in an arbitrary and capricious manner when it denied benefits after it determined: 1) the record did not support Plaintiff’s satisfaction of the Elimination Period; Plaintiff was no longer a covered employee under the Policy; and 3) Plaintiff’s Bipolar disorder was a pre-existing condition because she was receiving medications to treat this condition during the 90-day look back period. The court also found that Plaintiff’s breach of contract claim is preempted by ERISA, and that her ERISA claim fails against Matrix because Matrix did not issue the LTD policy in question and has no discretion in how the plan is managed or benefits paid. The court granted Defendants’ motion for summary judgment. In Schra v. Metro. Life Ins. Co., No. CIV. 13-13650, 2015 WL 806955 (E.D. Mich. Feb. 26, 2015), the court granted Defendant’s Motion to Uphold the Administrative Decision. Here, MetLife terminated Plaintiff’s short-term disability claim beyond April 17, 2011 and Plaintiff fully exhausted her administrative remedies under the plan with respect these benefits. However, when Plaintiff filed suit, she sought to recover long-term disability benefits. Defendant argued that Plaintiff cannot maintain its claim for LTD benefits because Plaintiff never filed a claim for such benefits, and because Plaintiff failed to exhaust administrative remedies available had such claim for LTD benefits been denied. During the motion hearing, Plaintiff requested that the Court allow her to amend the complaint to seek entitlement to STD benefits, rather than LTD benefits. Defendants contended that the STD plan is a payroll practice plan not governed under ERISA and the court lacks subject matter jurisdiction. The court found that the STD plan is not an ERISA plan; rather, the STD plan is a payroll practice plan. Thus, amending the complaint would be futile. Plaintiff raised a new argument, contending that an application for LTD benefits would have been futile, and that, in accordance with Dozier v. Sun Life Assurance Co. of Canada, 466 F.3d 532 (6th Cir. 2006), the court should excuse Plaintiff’s failure to exhaust the administrative review process prior to bringing the instant action. The court found that the issue of futility is waived, given that Plaintiff did not raise this new argument until his post-hearing responsive brief. In Kibel v. Aetna Life Ins. Co., No. CV 14-3861 SVW PLA, 2015 WL 858751 (C.D. Cal. Feb. 26, 2015), the court found that Plaintiff was not disabled as of the date she took medical leave in February 2012, but that an MRI demonstrated that her multiple sclerosis had diminished her mental and physical capacities to such an extent that she could no longer perform her job as of March 19, 2014. The court found that Aetna owed Plaintiff long-term disability benefits as of that date. 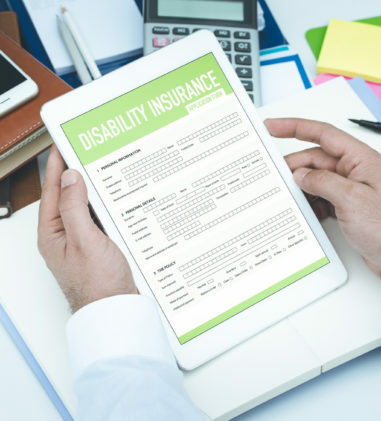 The court, however, denied that Plaintiff was eligible for a waiver of life insurance premium benefit that had a more stringent definition of disability. In Sears v. Drees Co., No. CIV.A. 13-132-DLB, 2015 WL 779003 (E.D. Ky. Feb. 24, 2015), Plaintiff alleged that Defendants wrongfully terminated and refused to pay her long-term benefits. The court adopted the Magistrate Judge’s Report & Recommendation granting Defendants’ Motion for Summary Judgment. The court found that Union’s decision to terminate benefits was not arbitrary or capricious, where Union relied on a “file review” of Plaintiff’s claim and Plaintiff’s post-final denial evidence of disability was not before the plan administrator at the time of its decision. The court also found that Plaintiff failed to exhaust available administrative remedies with respect to her § 1132(a)(1)(B) and § 1132(a)(3) claims against U.S. Bank because two letters sent by her attorney do not conform to the plan’s procedure requiring disability claim forms be sent to a certain address. The court declined Plaintiff’s request to refrain from adjudicating the cross-motions for summary judgment until she has exhausted her administrative remedies, finding that judicial economy prevents the court from granting such a request. In Baker v. Hartford Life & Acc. Ins. Co., No. 4:14-CV-209-BLW, 2015 WL 769962 (D. Idaho Feb. 23, 2015), the court granted Hartford’s Motion for Summary Judgment in this matter alleging a wrongful denial of long-term disability benefits. Hartford determined that Plaintiff was disabled by a psychiatric disorder limiting payments to only 24 months of benefits and Plaintiff contended that he was disabled by mycotoxicosis or chemical sensitivity. The court determined that Hartford’s decision is reviewed under an abuse of discretion standard tempered by the degree of the severity of any structural conflict of interest. The court found that Hartford has taken steps to reduce potential bias and that Hartford did not take inconsistent positions throughout the claim process, adequately investigated Plaintiff’s claim, and its findings were not clearly erroneous. 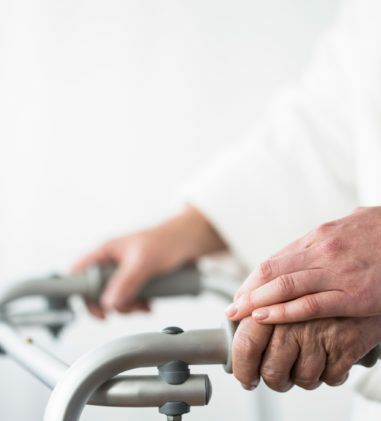 With respect to policy interpretation, the court found that under the terms of the Plan, a mentally ill claimant may still receive the full duration of benefits so long as the claimant is totally disabled as a result of a physical condition. In Pascazi v. Rivera, No. 13-CV-9029 NSR, 2015 WL 845839 (S.D.N.Y. Feb. 26, 2015), Plaintiff sought to enjoin the enforcement of two administrative orders finding that his company violated New York’s Prevailing Wage Law (“PWL”), arguing that the PWL is preempted by ERISA because it permits the Commissioner to pursue a company and its shareholders for failure to pay employees prevailing wages and supplements-which may in some circumstances include contributions to an ERISA plan. 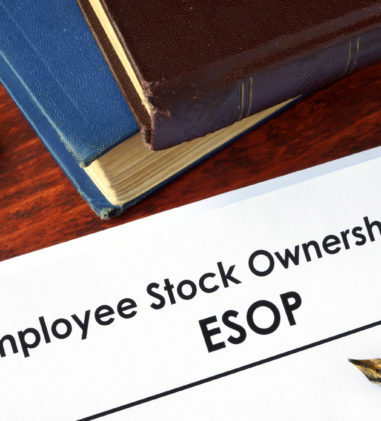 The court found that the NYDOL is pursuing a total package enforcement policy, as approved by the Second Circuit, and it does not violate the preemption provisions of ERISA. In McCarthy-O’Keefe v. Local 298/851 IBT Employer Grp. Pension Trust Fund, No. 13-CV-4785 JMF, 2015 WL 783352 (S.D.N.Y. Feb. 24, 2015), the court granted Defendants’ summary judgment motion against Plaintiff, proceeding pro se, in this matter where Plaintiff claimed that the Fund and the Board incorrectly calculated her pension benefits. The issue was whether a 1996 settlement awarded Plaintiff a higher pension rate retroactive to her hiring date. The court found that the Board’s conclusion that the settlement did not provide for such retroactive relief is likely correct, and certainly reasonable, as the text of the settlement merely stated that Plaintiff’s pension “will be rolled over to the union plans effective as soon as practical” and gave no indication that the new pension rate should apply back to Plaintiff’s date of hire in 1988. The court also denied Plaintiff’s motion to supplement the administrative record. In Concert Health Plan Ins. Co. v. Killian, No. 14 C 4697, 2015 WL 859562 (N.D. Ill. Feb. 26, 2015), Concert Health Plan Insurance Company brought suit against James Killian alleging that he violated the Illinois insurance fraud statute. These parties have spent the last seven-plus years in this court and the Seventh Circuit litigating an ERISA suit that Killian brought against Concert for allegedly breaching its obligation to pay for medical expenses incurred by his wife. Killian v. Concert Health Plan Ins. Co., No. 07 C 4755 (N.D. Ill. filed Aug. 22, 2007) (the “2007 case”). Killian moved to dismiss Concert’s complaint under Rule 12(b)(6) based on failure to comply with the statute of limitations. The court denied the motion although it stayed the portion of Concert’s insurance fraud claim that is a compulsory counterclaim in the 2007 case. The 2007 case remains pending, though the suit has been stayed as to the claims against Concert due to its state court liquidation proceedings. In Elizabeth L. v. Aetna Life Ins. Co., No. CV 13-2554 SC, 2015 WL 799417 (N.D. Cal. Feb. 23, 2015), Plaintiffs challenge Aetna’s denials of coverage for residential mental health treatment under two health benefit plans governed by ERISA. Aetna denied coverage because it determined the residential mental health treatment facilities at issue did not satisfy the plans’ requirement that covered facilities be staffed 24/7 with licensed mental health professionals. The dispute centers on whether the plans demand such 24/7 staffing in addition to the other requirements. The court twice granted motions to dismiss Plaintiffs’ complaint with leave to amend. In the most recent dismissal, the court granted leave to amend on two narrow points: 1) that the 24/7 requirement is satisfied by the residential mental health treatment facilities; 2) a previously unpleaded claim for breach of fiduciary duty. With respect to the first point, the court granted leave to amend to “plead facts indicating that the 24/7 requirement was satisfied.” The court explained that it was not asking Plaintiffs to provide facts showing that they satisfy the 24/7 requirement, but rather, to “plead sufficient facts” demonstrating they have satisfied the 24/7 requirement as the court has held it must be interpreted. Because the court found that Plaintiffs have not done so, it dismissed these claims with prejudice. With respect to the breach of fiduciary duty claim, Plaintiffs’ theory is that in processing claims, Aetna improperly distinguishes between network and non-network facilities by requiring only non-network facilities satisfy the 24/7 requirement. Plaintiff argued that this is inconsistent with the plan language and results in Aetna being unjustly enriched Aetna at Plaintiffs’ expense. The court determined that this theory depends on Plaintiffs’ mistaken reading of the 24/7 requirement. As a result, Plaintiffs cannot state a claim for breach of fiduciary duty based on unjust enrichment because Aetna cannot be unjustly enriched by not paying claims it is not required to pay in the first place. However, the court found that there may be an actionable breach of fiduciary duty on some other theory, but it is not actionable as unjust enrichment. As such, the court granted Plaintiffs leave to amend on that theory. In Kent Companies, Inc. v. Blue Cross & Blue Shield of Michigan, No. 14-CV-13070, 2015 WL 806922 (E.D. Mich. Feb. 26, 2015), one of more than fifty similar cases brought against defendant Blue Cross and Blue Shield of Michigan (“BCBSM”) for allegedly charging hidden administrative fees by, among other things, inflating hospital claims with hidden surcharges in violation of ERISA, the court denied without prejudice BCBSM’s motion to dismiss based on untimeliness, finding that there are fact issues concerning whether Plaintiffs knew or should have known of the hidden fees. 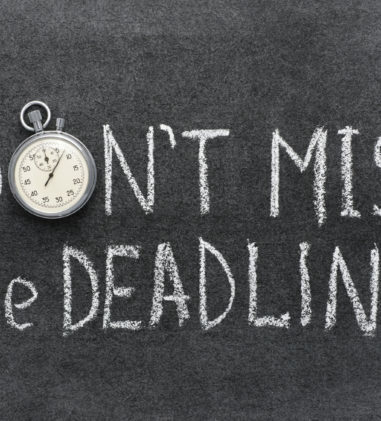 The court noted that the Sixth Circuit has not addressed the issue of whether the pendency of a putative class action can toll the statute of limitations period in an ERISA breach of fiduciary case. At this early juncture it is not necessary for the court to address the issue of whether Pipefitters Local 636 Ins. Fund v. BCBSM, 722 F.3d 861 (6th Cir. 2013) tolled the statute of limitations period because it remains possible that the ERISA claims are timely under the limitations period set forth in § 1113(2). The court rejected Defendant’s argument that amounts wired to its bank account were not “plan assets” as defined by ERISA. The court also denied Plaintiffs’ motion for partial summary judgment but granted BCBSM’s unopposed motion to dismiss the state law claims. In Mbody Minimally Invasive Surgery, P.C. v. Empire Healthchoice HMO, Inc., No. 13-CV-06551 TPG, 2015 WL 798082 (S.D.N.Y. Feb. 25, 2015), Defendants moved for partial reconsideration of this court’s order denying their motion to dismiss Plaintiffs’ Section 502(a)(1)(B) claim, arguing that the court overlooked language in the health plans at issue in this case meriting dismissal of this claim. Plaintiffs are medical professionals offering bariatric surgery to help obese individuals lose weight. They sued the Defendant health insurance companies alleging they withheld or reduced payment for treatment provided to patients enrolled in Defendants’ health insurance plans. Defendants argued that controlling authority in this circuit rejects the concept of a “de facto” plan administrator, or one that is not expressly named in the health plan documents. The court explained that it did not reach the question of whether Plaintiffs may maintain a § 502(a)(1)(B) claim against de facto plan administrators; rather, the court held that plaintiffs had plausibly alleged that Defendants are plan administrators themselves. To the extent Defendants wish to reargue that they are not plan administrators, the court noted that they will have ample opportunity to do so at later stages of the litigation where Plaintiffs’ burden will be higher. The court denied Defendants’ motion for reconsideration. In McClure v. United Parcel Serv. Flexible Benefits Plan, No. 1:14-CV-845, 2015 WL 803094, at (W.D. Mich. Feb. 25, 2015), Plaintiff brought suit seeking the court to: 1) declare the rights of the parties under the United Parcel Service Flexible Benefits Plan (the Plan) and his State Farm automobile insurance policy and determine that State Farm is required to reimburse the Plan for all accident-related medical expenses incurred by the Plan; 2) require the Plan to intervene in a pending state-court action against drivers of vehicles who caused his injuries in order to exercise its subrogation rights and protect its interests; 3) enjoin the Plan from seeking reimbursement from any recovery that Plaintiff might obtain against the other drivers in the state-court action; and (4) order State Farm to reimburse Plaintiff to the extent the Plan is deemed to be entitled to reimbursement from Plaintiff’s potential recoveries against the other drivers in the state-court action. State Farm filed a motion to dismiss pursuant to Rule 12(b)(1) for lack of ripeness. The court denied State Farm’s motion, finding that Plaintiff’s claims are ripe for adjudication. First, there is more than a mere possibility that Plaintiff will obtain a third-party recovery from which the Plan will seek reimbursement since the Plan has already demanded reimbursement from any recovery in the state-court litigation. The uncertainty of whether State Farm’s coverage is primary presents a substantial controversy of sufficient immediacy between parties having adverse interests, especially where the parties in the state-court litigation have stipulated to adjourn trial in that case pending a decision by this court. Second, the factual record is sufficiently developed to allow this court to render a fair adjudication on the merits of the claims. Finally, a ruling from this court will likely aid the state court in resolving Plaintiff’s claim against State Farm and may guide the parties in formulating their state-court litigation strategies. In Cent. States, Se. & Sw. Areas Pension Fund v. Vanguard Servs., Inc., No. 09 CV 4721, 2015 WL 791497 (N.D. Ill. Feb. 24, 2015), Vanguard was previously ordered to pay $4,769,353.60 to the Pension Fund in unfunded pension withdrawal liability. Vanguard filed a post-judgment motion to enforce an indemnification agreement between Vanguard and Wise, pursuant to which Vanguard asserts that Wise is liable for $300,404.69 of its withdrawal liability. The court rejected each of Wise’s arguments disclaiming liability. First, the court found that Vanguard seeks to enforce the indemnification clause of the September ’94 Schedule under contract law so Wise’s “employer” status under the MPAA is irrelevant. Second, Vanguard was assessed withdrawal liability on August 11, 2009. The Pension Fund’s cause of action against Vanguard, and its cause of action under the indemnification clause against Wise, accrued in 2009. Thus, because the Pension Fund filed this action in 2009, its claim is timely. Third, the court found that Wise’s conduct is unambiguously consistent with an agreement to be bound by the terms of the September ’94 Schedule, which is operative. Lastly, there is no dispute that Vanguard incurred a liability and it is irrelevant under the plain language of the contract whether Wise “caused” Vanguard to incur the liability. The court granted the Pension Fund’s motion to enforce the indemnification agreement between Vanguard and Wise and ordered Wise to pay an amount to be determined after further briefing. In United Food & Commercial Workers Union-Employer Pension Fund v. Rubber Associates, Inc., No. 5:14-CV-183, 2015 WL 778781 (N.D. Ohio Feb. 24, 2015), the court granted Plaintiff’s Motion to Dismiss pursuant to Fed.R.Civ.P. 12(b)(6), Defendant’s counterclaim seeking equitable relief from an arbitrator’s opinion finding Rubber Associates liable to Plaintiff United Food and Commercial Workers Union-Employer Pension Fund for withdrawal liability in the amount of $1,713,169.00.2. The court explained that the Sixth Circuit has not recognized a claim under the federal common law of ERISA for equitable relief in the case of union-mandated withdrawals, and this court found no basis for doing so. Congress did not include union-mandated withdrawal among the exceptions for certain specific withdrawal situations, and ERISA’s purpose will not be advanced by creating such an exception in this case. In IBEW Local 351 Pension Fund v. George Sparks, Inc., No. CIV.A. 14-2149, 2015 WL 778795 (D.N.J. Feb. 24, 2015), the court denied without prejudice Plaintiff’s motion for default judgment, finding that even accepting the allegations in the Complaint as true, the court is unable to ascertain whether the Defendants have a meritorious defense. Plaintiff must submit additional evidence including, but not limited to, the Collective Bargaining Agreement between the parties, any attempts to resolve the matter through arbitration or other mechanisms perhaps contemplated by the Collective Bargaining Agreement, an affidavit explaining the Delinquent Penalties Table, and additional evidence in support of the calculation of damages. In Trustees of Empire State Carpenters Annuity, Apprenticeship, Labor-Mgmt. Co-op., Pension & Welfare Funds v. JJJ Concrete Corp., No. 13-CV-4363 SJF ARL, 2015 WL 790085 (E.D.N.Y. Feb. 24, 2015), Plaintiffs brought this action to collect delinquent employer contributions pursuant to ERISA and the LMRA. The Complaint alleges that JJJ and Rell constitute a single employer and alter egos such that both Defendants are jointly and severally liable to the Funds for benefit contributions. Plaintiffs moved for summary judgment, arguing that Defendants constitute alter egos and/or a single employer as a matter of law and are therefore both bound by the terms of the CBA. Defendants moved for summary judgment dismissing all claims on the grounds that they are neither alter egos nor a single employer as a matter of law. The court found that there is a genuine issue of material fact on the single employer question and that Plaintiffs have failed to raise a genuine issue of material fact on whether Defendants are alter egos. The court adopted the Magistrate Judge’s Report & Recommendation that Plaintiffs’ motion be denied in its entirety and Defendants’ motion be granted in part and denied in part.